The fifth single on the short-lived Miracle Records label (and by far the best to date), this record marks the Motown début of a group who would become synonymous with the company, racking up hits over a spell of almost thirty years. Well, a version of the group, anyway. The Temptations as featured on this record are Paul Williams (baritone), Eddie Kendricks (tenor/falsetto), Elbridge Bryant (tenor), Otis Williams (tenor) and Melvin Franklin (bass). Between then and now (February 2010), there have been some 22 (that’s twenty-two) people who have been members of the Temptations, a number which can only grow as the group remains a going concern to this day. (Indeed, visitors to Motown Junkies may wish to check their inboxes to make sure it’s not their turn to be in The Temptations this week). As of the time of writing, Otis Williams, who co-wrote this début single, is the only surviving original member still in the group almost fifty years later. I usually find it easier to consider the “golden age” Temptations as two separate acts: the early-to-mid Sixties version when the group were under the control of Smokey Robinson, and the late-Sixties/early-Seventies incarnation under Norman Whitfield. Oh Mother Of Mine, though, is one of the few artefacts from an even earlier period, when Paul Williams was the group leader and before David Ruffin came onto the scene, when the Temptations were just another young vocal group, carrying heavy doo-wop influences and hungry for success. 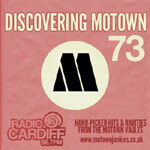 Although they would struggle to find commercial acceptance until Bryant was replaced with Ruffin a couple of years later, the Temptations nevertheless quickly became Motown’s premier male vocal group, joining the stable just as their predecessors in that role, the Satintones, drifted into obscurity. Initially, they were marketed and recorded as natural successors to the Satintones, and it’s easy to imagine much of the early material offered to the group being recorded by the Satintones in much the same style, none more so than this first effort. The Temptations had coalesced from two different male vocal groups popular on the Detroit club circuit, the Distants and the Primes (the latter famous as the group who caused the Supremes (née Primettes) to form as a sort of sister act); they initially signed to Motown under the name “the Elgins”, after the watch company, only to find the name had already been taken. (Confusingly, Motown would later sign a totally different group called the Elgins, who had nothing to do with either of the first two groups.) The newly-renamed Temptations signed with Motown at the same time as the Supremes, but while the girls were given two singles on the high-profile Tamla label with Berry Gordy writing and producing, the boys had to wait several months before their first record appeared on the rather less high-profile Miracle imprint, and initially with very little interest from Mr Gordy. That turned out not to be a bad thing. Mickey Stevenson, the hottest new writer in the Motown group, collaborated with Otis Williams to write this uptempo dancer, another indication of how willing Motown was in the early days to have its artists bring their own material to the table, while Stevenson and oddball Andre Williams handled production duties. The result, while not earth-shattering, is an eminently likeable late-Fifties dancefloor record. The band lock into a tight, practised groove very quickly, with some energetic drumming and some especially good horns in the chorus; it’s good fun. The lead vocal alternates between Paul Williams and Eddie Kendricks; the latter’s shrieking, untrained falsetto in the middle of the song is badly jarring, as well as being the most dated thing on show here, and threatens to sink the whole record, but Paul saves it by bringing proceedings back down to earth with his gravelly, bluesy baritone. As was by now traditional with singles that came out on the Miracle Records label, the record sank without trace. Still, while it’s not outstanding, it’s certainly not bad. The lyrics are forgettable, generic stuff (and barely intelligible anyway), but the melody is fun and the band are really starting to excel themselves. If it’s not an obvious starting point for one of the great groups of all time, it’s an enjoyable (and danceable!) little record on its own merits. Perhaps most crucially, it caught Berry Gordy’s attention, meaning that when the Temptations returned to Hitsville to cut their next single, Check Yourself, Gordy would be producing. A very nice debut for The Temptations. I don’t like it as much as their 2 up-tempo or 2 ballads as The Distants. But it’s a very good earthy/bluesy vocal effort by Paul, and one of only a couple good cuts on Miracle. If Miss Ray was still running the talent side of Miracle at this point, she really nailed it signing the Temptations. Never heard it in the 60s, in fact never heard of Miracle Records until YT. I probably would have paid my dollar. OMG, I’m thinking this is the first Motown labeled record without Berry Gordy as producer. We’ll see alot of other producers shortly. Miss Ray didn’t sign The Temptations. Berry did. He had liked their recordings (as The Distants) for rival, Johnnie Mae Matthews, and told them to see him if they wanted to move on from their association with her. After their two records with Matthews did well locally, but didn’t earn them money, they went to see Gordy. He signed them, and assigned them to his fledgeling Miracle label. (I think he was just trying to “spread the wealth” by assigning The Temptations and Jimmy Ruffin to Miracle. I doubt that either had any previous association to Miss Ray independent of Berry. Indeed – and the Primes (the other half of the Elgins/Temptations equation, whence came Eddie and Paul) were also known to Berry (and Smokey!) before BG even married Miss Ray. Weirdly – and this just goes to show what a tangled mess the Temptations’ backstory really is – Richard Street, who’d been in the Distants before they joined Motown and who would later end up back with his ex-bandmates in the Temptations line-up several years later, spent some time recording with a totally unrelated group for Berry’s first wife Thelma in 1962 under the name “Richard Street and the Distants”. Yes. Street was an assistant producer to Don Davis (Thelma’s A&R man) at Thelma. He came to Motown with Thelma Coleman Gordy as part of the deal that The Colemans and Don Davis stop operations of Thelma Records (a competitor to Motown (as were Ed Wingate’s Golden World/Ric Tic, Correc-Tone, and Lebaron Taylor and Don Davis’ Solid Hitbound Productions (Revilot/Groovesville/Solid Hit)). Street brought his newest group, The Majestics (Monitors) to Motown with him. Street, and Emanuel Laskey sat in Thelma Gordy’s office, writing songs, but getting little recording time and no releases. He’d effectively taken his competition out by buying their contracts (as he would later do with Wingate’s crew (including J.J. Barnes). Finally Berry Gordy used Street as a writer, taken into the main body of the company, gave his Majestics recording time, and eventually releases as The Monitors. Thelma Gordy had only one of her productions get to vinyl (“Cry” by The Majestics (listed as The Monitors) in 1979, on “From The Vaults” oldies album. Laskey never got a Motown release, only writing credits on a handful of Jobete songs, and I never saw any reference to any recording sessions for him while he was at Motown. He left in 1969, to join Armen Boladian’s Westbound Records. He had worked with Boladian at Thelma. Boladian had financed a couple Thelma productions and had his K-O Records (The Sonnettes) distributed by Thelma. Street had decided to not join his group mates in signing with Motown. So, he kept title to the group name “The Distants”, and recruited a whole new group. I think that after Thelma, some of Street’s new group got disenchanted withtheir lack of success, and left the group. I believe that at that time (late 1962 or earliest 1963) The Distants and Johnny Mitchell’s Majestics, who were breaking up at that time. I believe that that group came with him to Motown. But, in mid 1963 those Majestics were replaced by The Fagins and the other later member of The Monitors. Don Davis, who owned a Detroit recording Studio, and was A&R man at DaCo, Thelma, Golden World, Groovesville, Revilot, Groove City, etc (all Motown’s competition), had also worked for Motown early, as writer and de-facto producer of Herman Griffin’s 1960 Tamla record. I’m not ashamed to admit that this is my first time hearing this song outside of The Temptations movie. (LOL). Btw good jokes Steve D! (lol). Somehow OMOM never made it to my ears back in the day, maybe because West Coast was a long way to promote a new group on a new label. The same goes with Check Yourself, never knew it, but even today I feel it is one of their best ever!!! Doesnt it have it all? Despite having The Temptations’ Miracle singles get little promotion on The West Coast, you might have had access to “Check Yourself”, as it was on The Temptations’ first album, “Meet The Temptations”. I wonder why it got on the album, when “Oh Mother Of Mine” (which I think is, by far, the better of the two) did not.